According to the UN, 54% of the global population is concentrated in urban areas, and 863 million people worldwide live in slums. As the number of people moving to cities continues to rise, so does the need for decent housing. Traditional construction methods are expensive, so slum dwellings are often constructed from unsafe materials and with little regard for construction standards. Chinese company Winsun may have the answer to the global low-cost housing problem: a basic 3D-printed house made from a mixture of sand, steel, fibreglass cement and recycled rubble. A 6.6m-tall, 10m-wide and 150m-long 3D printer prints all of the separate pieces of the house – walls, roof panels, floors, frame – ready for easy assembly. Each house costs £3,200. Winsun claims that this affordable housing will be the perfect solution to the issue of housing the impoverished and the displaced – and could help quickly and cheaply rehouse people made homeless after natural disasters. The company has also designed a lavish villa, made using the same techniques. The first version of it is on display in Suzhou Industrial Park, and took eight workers one month to complete. The building would have taken 30 workers three months to construct using traditional methods. The Egyptian government has signed a deal for 20,000 single-storey 3D-printed houses to deal with the country’s growing population. Winsun will provide the printer and printing material, and the components of the houses will be built and assembled in situ. Winsun has plans to expand to 20 countries, including the UK, France and Dubai, in the near future. The company will also open 100 recycling sites to source the rubble with which to print the houses. 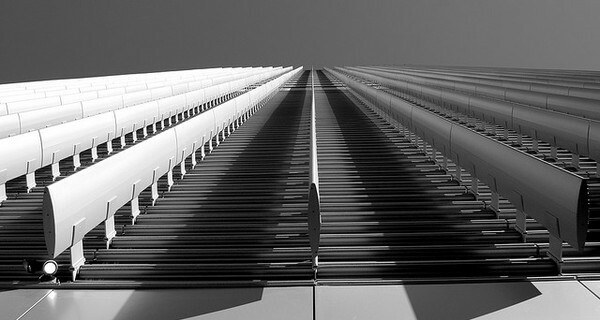 Image 'Converging Lines' courtesy of Kevin Dooley.